The regular season in Italy ended, leaving a bitter taste to all European basketball fans. For the first time in its history, Virtus Bologna, Euroleague champion in 1998 and 2001, was relegated to the second division. In a four way tie between Capo D’Orlando, Caserta, Torino and Virtus, the club from Bologna finished last in the standings (11-19). 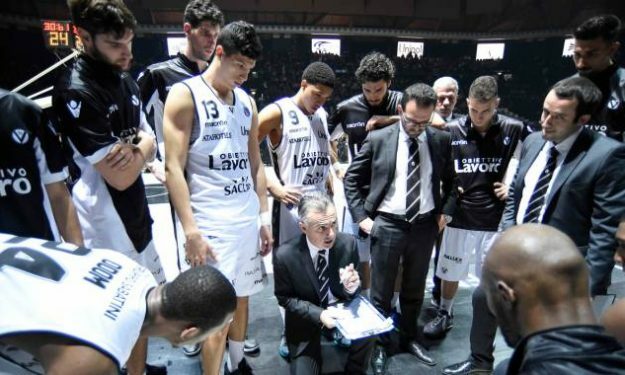 Only one team is relegated in Legabasket and in the 87 years of Virtus existance, this is a first. Meanwhile the playoffs are decided with EA7 Armani Milano (1) facing Trento (8), Reggio Emilia (2) playing against Sassari (7), Avellino (3) dueling with Pistoia (6) and Cremona (4) clashing with Venezia (5).